Spain's interim coach Fernando Hierro has cut his ties with the Spanish Football Federation following the team's disastrous exit from the World Cup last week, the organisation said on Sunday. "After many kilometres travelled together, the Spanish Football Federation and Fernando Hierro have called an end to their relationship now that Spain have finished their participation in the World Cup," said a statement on the Spain team's website (www.sefutbol.com). "The last Spain coach has declined to return to his old job as sporting director of the Federation in order to look for new horizons and new professional challenges." Under the former Real Madrid defender, who previously had just one season's experience as a coach with Real Oviedo, Spain won one of their four games in Russia, a 1-0 victory over Iran in Group B, and drew 3-3 with Portugal and 2-2 with Morocco. 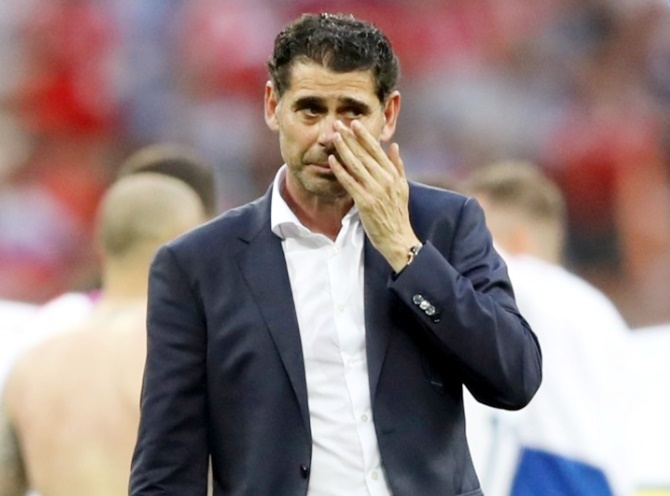 "The Federation would like to thank Fernando Hierro for his commitment and sense of responsibility for taking charge of the national team in extraordinary circumstances and his other roles for the organisation, which will always be his home," added the statement.